While Johannesburg remains in high demand among corporate business travellers using Lufthansa Group's three key airlines servicing South Africa, the airline is pleased with a 20% jump in Capetonians using its airlines, Dr André Schulz, general manager for the group in Southern Africa, said on Thursday. Lufthansa, Swiss and Austrian Airlines carried almost 300 000 passengers between Europe and South Africa during the 2018 financial year. Lufthansa Group announced its results for the 2018 financial year on Thursday. The group generated its second-best result in the history of the company in its 2018 financial year. Schulz said the group's passenger traffic between SA and Europe showed a steady increase of 3.2% in 2018 compared to 2017. 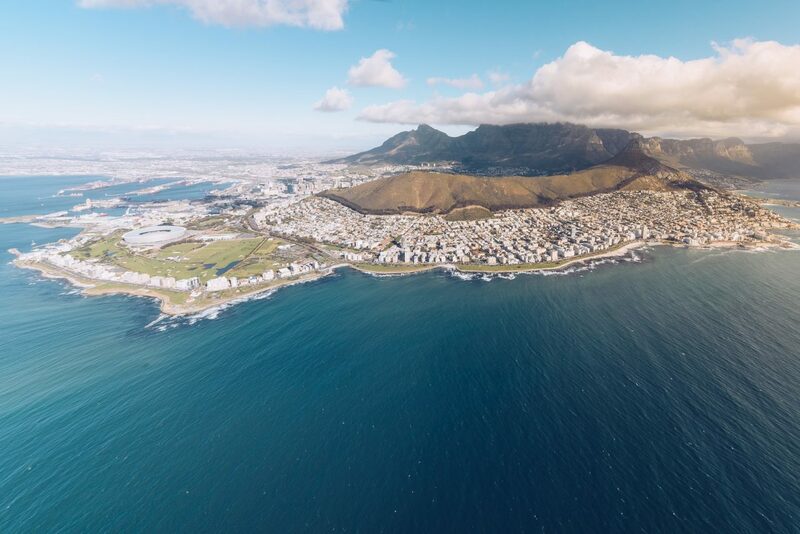 According to Schulz, as Cape Town continues to grow as a top leisure travel destination for European visitors, the demand facilitated an increase in the frequency of flights on these routes. Flight frequency increased to 16 flights per week over the South African summer and five flights per week over the South African winter. Total group revenues increased by 6% during the 2018 financial year compared to the previous financial year, group chair Carsten Spohr said during a live-streamed press conference on Thursday. Total revenues were 1% up on 2017, at €35.8bn. The adjusted earnings before interest and taxes (EBIT) for the year amounted to around €2.8bn. Spohr said one of the challenges the airline had to manage during the financial year was an increase of about €850m in fuel costs. Furthermore, the €518m of expenses incurred due to delays and cancellations was a 70% increase compared to the previous financial year. Spohr explained that only a third of the delays and cancellations were caused by the airline itself and the rest by other factors out of its control. "We need to improve our punctuality, so we will increase the number of reserve aircraft again and we are placing a special focus on the first departures of the day to avoid delays throughout the day," said Spohr. "We cannot have a backlog as almost two thirds of our passengers are transfer passengers." According to Ulrik Svensson, chief financial officer of Lufthansa, the group continues to work on further reducing its unit costs. The group has invested €3.8bn in 2018, a large part thereof in new more cost- and fuel-efficient aircraft. Svensson said at the 2019 annual general meeting that the group would propose a dividend of €0.80 per share be distributed. Spohr said that in 2019, the Lufthansa Group would be focusing on achieving sustainable quality growth. Therefore, the group is further reducing the capacity growth for its airlines for the upcoming summer to 1.9%. Despite this, the group expects to report mid-single-digit percentage annual revenue growth. Lufthansa's share price fell some 6% after its results were announced, Reuters reported.